In this era of launch angle, will pitchers who have a tremendous four-seam fastball be more successful than usual? 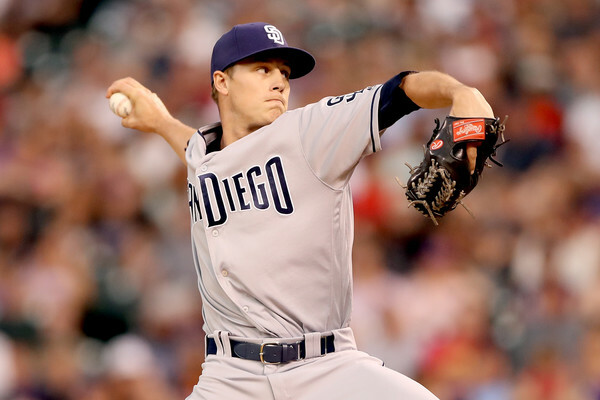 Phil Maton has a great four-seamer and could be in store for a decent year on the mound for the San Diego Padres. The game of baseball is an ever-evolving sport. Pitchers and batters must continually amend their approach and mechanics to stay ahead of the pack. In recent years, the launch angle revolution has taken over major and minor league baseball. Home runs are up. Strikeouts are up. Players are swinging with an upward motion on the ball in an attempt to hit more home runs. Hitting the ball over the fence pays the bills. The success of these batters comes from the fact that the two-seam fastball, down in the zone used to be “the pitch” for hurlers attempting to get batters out. Hitters are taking these knee high and lower pitches and golfing them out of the ballpark presently. Because of this, many people predict the four-seam fastball will be “the pitch” for 2019. 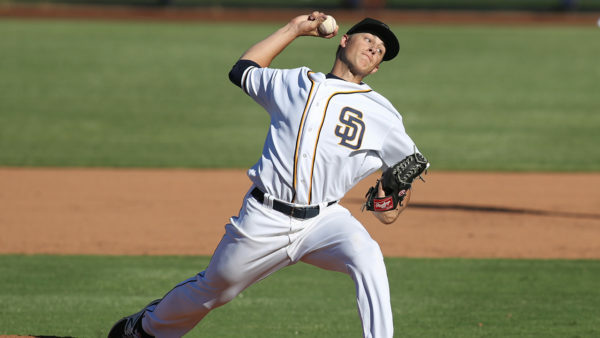 The Padres just happen to have a young right-hander with a terrific four-seam fastball. Phil Maton. He was open and accommodating in talking about the subject. “The casual fan notices that strikeouts are up, home runs are on the rise. There are a lot more guys that are selling out and going all or nothing. 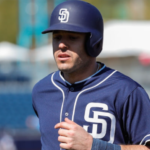 They are trying to hit bombs.” declared Maton a few weeks ago in Peoria. The conversation steered towards pitch tendencies and how they change year after year in the game. “Every year there is a pitch that comes out, and it is the weapon. My rookie year, I feel like sliders were the hot pitch. Really hard sliders down. Last year there were more guys pitching up with their fastball,” explained Maton. There is a general agreement that pitching vertically in the zone is more useful now than ever before. 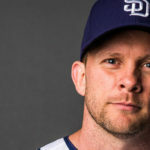 “This year, guys should have success who can pitch up and down in the zone as opposed to in and out,” said Maton. 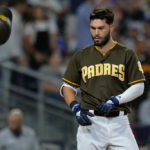 The right-hander has that ability, and he could see a boost in his numbers this coming season by attacking hitters up in the strike zone. 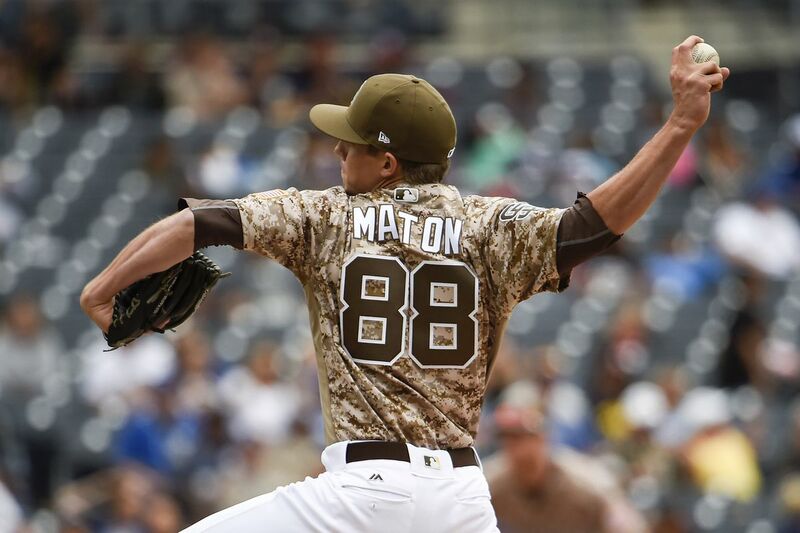 Maton battled injuries last year and pitched when he felt less than 100 percent. He powered through his difficulties, and that tells you a lot about his desire. The right-hander is happy and feels completely healthy this spring. “Everything is feeling good. I cannot say enough about our training staff. I stayed in San Diego this offseason, so I got to work with our training staff the whole time. I feel awesome, and everything is good. 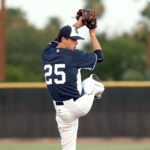 Looking forward to the start of the season,” said Maton who ended the spring with a 0.93 ERA. Phil Maton believes in preparation. He utilizes the Rapsodo machines that are in camp this spring. The technology is something that he is familiar with. “It is something that I have at home, personally. My dad runs a facility back home (LSI/Litchfield Sports Inc.),” said Matone. 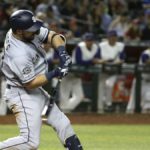 “The Padres invested in it (Rapsodo) this year. We have them out here. It’s very interesting to see. It is nice to have baseline numbers. That way you know when you are throwing well. When I am throwing well I know what numbers to shoot for,” explained Maton. He prefers to know where his pitch track numbers are when he is throwing well; then he can adjust to execute those same digits when the time is right. “I am not trying to increase my spin rate; I am trying to refine it. 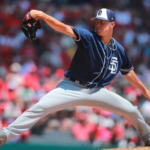 Trying to execute at a higher level and throw better pitches,” said Maton with a serious look to his face. “I would rather have everything and not need it, then to not have it and need it. I enjoy all the numbers,” said Maton. The four-seam fastball will be a factor in 2019. 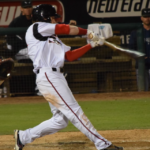 Phil Maton knows what it will take to achieve the correct numbers to be successful. Putting all that together is the next step, but Maton is relentless in his quest to get better, and he will not stop until he succeeds.